The Small Business Administration estimates about 627,000 new businesses open every year. It might be a hobby to earn extra income, or a long-standing idea you finally want to act on. Whatever the motivation, there are resources available for people who want to launch a business in 2019. 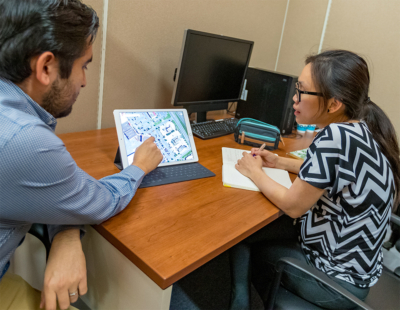 One of the organizations aspiring business owners can turn to is the Small Business Development Center housed at The University of Texas Rio Grande Valley. Center Executive Director Maria Juarez says she has seen the number of visitors rise at the start of the year. The meetings are confidential and free. SBDC also offers workshops throughout the year, including SBDC Smart Start, available in English and Spanish. Juarez encourages prospective business owners to try their services, even if all they have is an idea. “We have the advising, we have the training, and then in addition, we have the research,” Juarez said. Samuel Vallejo Hernandez, program coordinator of the UTRGV center, says those are just some of the questions that need answering. Hernandez says people only need an idea for a new business to start using services at the Entrepreneurship and Commercialization Center. The UTRGV Entrepreneurship and Commercialization Center costs a monthly membership fee. Membership amenities include an open working space, semi-private offices, printers, Internet access, a conference room and a business mailbox address. Another option available through the center is the Kauffman FastTrac, which has seen offerings throughout the area. It helps entrepreneurs gain business skills and outline critical steps to launch a business. “The Kauffman FastTrac is a workshop/seminar that takes from eight to 10 weeks,” Vallejo Hernandez said. Juarez said they try to make their services easily accessible to a range of people. While the UTRGV Entrepreneurship and Commercialization Center is in Brownsville, the university recently opened the UTRGV Center of Innovation and Commercialization in Weslaco, which aims to help entrepreneurs and startup companies. The facility will offer mentoring services and offices. Representatives from both the SBDC and Entrepreneurship and Commercialization Center said it just takes an idea to move forward with your business goals. He said people can work on identifying key partners, suppliers and the permits needed. “I would just really encourage the whole community to reach out to the Entrepreneurship and Commercialization Center, as well as to all the other organizations here for you,” he said.